People in the UK spend so much time using their mobile phones that it can be easy to forget about your landline bills. Some people don't have a home phone at all, and rely on their mobile phone instead. 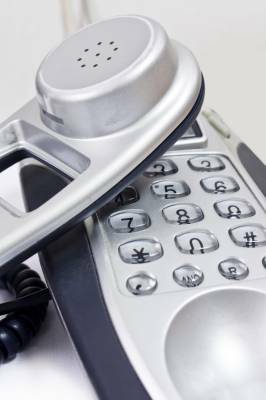 For most homes, a landline phone connection is required for broadband Internet access, but even if you don't use it that regularly, your landline still costs money. If you're looking at how to save money at home, you might find these tips useful. 1. Some packages will give you cheaper calls for a specified list of phone numbers for friends and family. Check with your supplier and if you can, add the phone numbers you call most often. 2. Look through your statements when they come in and work out which have been your most expensive calls each month. If some calls are unreasonably high, try to keep the conversation more brief in future, or communicate another way. 3. International calls are more expensive than local calls. Use a VOIP application to talk over the Internet or buy an International call package that gives cheap calls to the countries you phone most often. 4. A landline override provider gives you cheap or free calls by entering a specific override code before dialling the number you intend to contact. Consider this for long phone calls, especially overseas. 5. You can compare home phone deals through Money Dashboard. Enter your postcode and we'll show you the best deals available. 6. Some suppliers offer better deals for paying by direct debit, so set up this payment method if you can. 7. Consider combining your home phone and broadband Internet into one package if you haven't already. If you have a subscription TV package this can often be included too, and there are deals bundling all three in one package. 8. If you receive benefits such as Income support, Jobseekers allowance or pension credit then you may qualify for a low cost ‘social tariff'. Ask your provider if they offer social tariffs and find out what the requirements are. 9. If it's near the end of the month and you still have minutes left on your mobile phone, use that to make the calls and you'll reduce your landline bill. 10. Instead of calling a non-geographic phone number, which often charge even during off-peak hours, use Say No to 0870 or use a search engine to find a geographical phone number for the organisation instead. Avoid premium numbers starting with 09 altogether if possible.